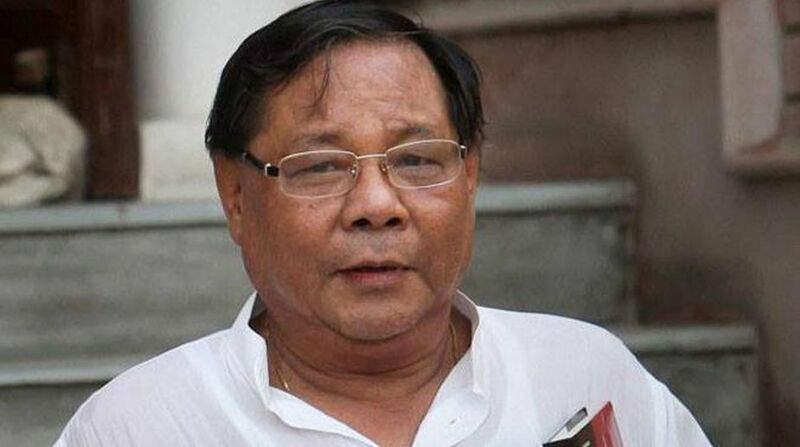 Former Lok Sabha Speaker, the late Purno Agitok Sangma has been conferred the Padma Vibhushan, his family said on Wednesday. He become the first recipient from Meghalaya to be awarded India's second-highest civilian honour. "It is an honour for the people of the Northeastern states and especially to our community (Garo tribals) that the government has conferred Padma Vibhushan to him," Sangma's widow Soradini K Sangma said. "We (family) are honoured. We feel that the award is in recognition to his selfless service and contribution to the people and to the nation," she added, while thanking Prime Minister Narendra Modi and the selection committee for bestowing the award. Echoing his mother, Sangma's son and Tura MP Conrad K Sangma said: "My father had enjoyed the support, love and affection of the people across the nation and especially from the people in Garo hills where they had elected him 10 consecutive times as their representative to the parliament and even to the Meghalaya assembly. "The Padma Vibhushan is in recognition for his selfless sacrifice and contributions in every sphere to the nation. I will definitely work to fulfil his dreams." Padma Shri awardee Patricia Mukhim said: "Sangma deserved the award for his contributions to the state and the nation as a whole. He was one of best Speakers in the parliament. In fact, he deserved the recognition much earlier; nonetheless it is a proud moment for the people of Meghalaya." Sangma rose to become the country's first tribal Lok Sabha Speaker, serving from 1996 to 1998, when the country witnessed three coalition governments – that of Atal Bihari Vajpayee, H D Deve Gowda and I K Gujral. But he ably controlled parliamentary proceedings, using his gifted sense of humour to defuse tensions. Former Prime Minister P V Narasimha Rao had then commended him for his "sagacity" in conducting the proceedings of the 11th Lok Sabha. The tribal leader donned many caps – of a lecturer, a lawyer and a journalist – before he was catapulted to national politics. He was also Meghalaya chief minister from 1988 to 1990. In 1999, Sangma along with Sharad Pawar and Tariq Anwar founded the Nationalist Congress Party after walking out of the Congress on account of Sonia Gandhi's foreign origin. Sangma floated the National People's Party in 2013 after he unsuccessfully contested the 2012 presidential election against his "senior friend" of many years Pranab Mukherjee. He was the candidate of the then opposition BJP-led NDA and some regional parties. Born on 1 September, 1947 in Chapathi village of West Garo Hills in Meghalaya, Sangma died of a massive heart attack in New Delhi on March 4 last year.